Renaissance techniques over tan tiles can produce amazingly striking images. This is one of my all time favorite tiles, and in this lesson I show you EXACTLY how it was created. 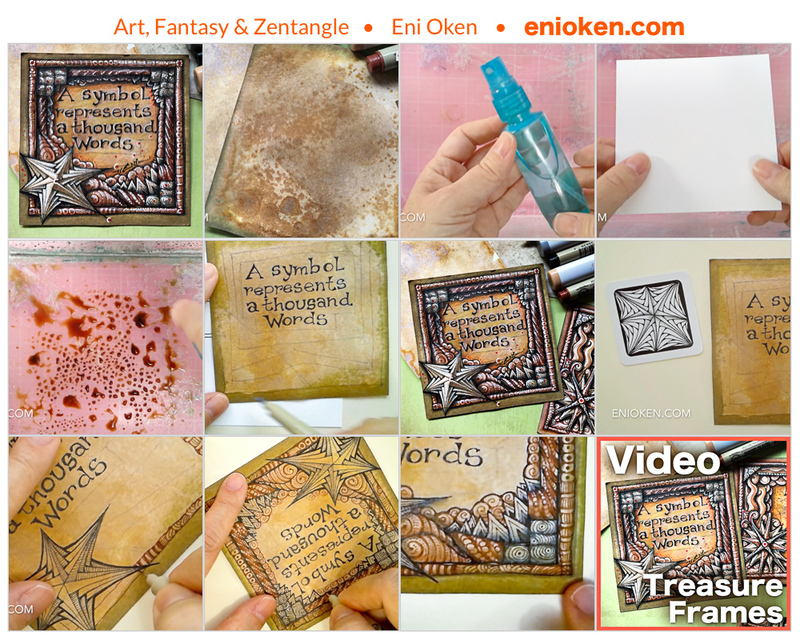 Almost a sequel to the stunning Tan Treasure lesson: learn how to create beautiful dimensional frames around quotes using Renaissance techniques over tan paper. Rust dark orange ink or watercolor. I use distress ink Spiced Marmalade in the video, but even better is Rusty Hinge by Tim Holtz. Also a Paintbrush and water. White gel pen. I use Sakura Gelly Roll. White Strathmore Vellum 4x4 inchartist tiles (or Thunderbolt card stock (a little thinner than I like, but excellent value for the money). You will need a white pencil made of pastel or charcoal. My favorite is the Pitt Pastel, but you can also you can also use any white charcoal or pastel pencil. Do NOT use colored pencils, use only charcoal or pastel. General's Charcoal white pencil . This pencil has very good brightness, but it tends to break a lot during sharpening. This lesson is an intermediate/advanced lesson. "Eni, your video is excellent... I am anxious to do this. I will post it as soon as I can. I love your work!"